A link between bipolar disorder, schizophrenia and creativity. We’ve all heard about the likely connection dozens of times. Now, a recent study involving over 86,000 people gives further proof that the connection exists. Looking at the many blogs written by so many creative individuals, the results of this study are no surprise to me. Excellent photographers, painters, poets and writers, all with bipolar disorder or schizophrenia, abound in the blogosphere. The study, conducted by King’s College London, also included actors, dancers and musicians. I’ve written about this subject before, but, previous studies have identified a link between creativity and psychiatric disorders, such as bipolar disorder, but it has remained unclear whether this association is due to common genes. Published in Nature Neuroscience, this new study supports the theory that there’s a direct influence on creativity of genes found in people with schizophrenia and bipolar disorder. Some notable examples of artists who lived with psychiatric illnesses include Vincent Van Gogh, Carrie Fisher, Ozzy Osbourne, and Kurt Cobain. Previous studies have shown that psychiatric disorders, particularly bipolar disorder, tend to be found in the same families where creative professions are common. However, until now it had not been possible to pinpoint whether this was simply due to shared environmental factors or socioeconomic status. Genetic risk scores were examined in a sample of individuals from the general population of Iceland, in collaboration with researchers from deCODE Genetics, who provided the data. Researchers found that genetic risk scores for both schizophrenia and bipolar disorder were significantly higher in those defined as creative individuals, with scores approximately halfway between the general population and those with the disorders themselves. Our findings suggest that creative people may have a genetic predisposition towards thinking differently which, when combined with other harmful biological or environmental factors, could lead to mental illness. For some reason I find the connection between creativity and mental disorders fascinating. I’m not sure why. Maybe it’s because I think that we have plenty of problems to deal with, we might as well get something out of it. King’s College London. 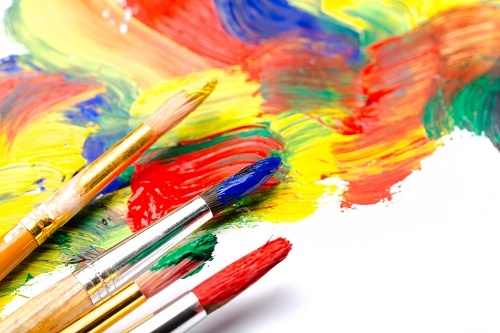 “Schizophrenia, bipolar disorder may share genetic roots with creativity.” ScienceDaily. www.sciencedaily.com/releases/2015/06/150608120145.htm (accessed July 25, 2015). I don’t consider myself to be particularly creative. In fact, I view myself as an intellectual. I wonder if it would be easier to live with bipolar II if you could channel it into art or music or acting? I don’t particularly find it helpful as an aide to academic endeavors. Hmmm . . .
Have you seen this article? http://mentalfloss.com/article/64852/scientists-tortured-artist-real-thing It quotes the same study but also compares it with others and raises some questions. Not that Mental Floss is a great source, but the studies they reference may be of interest. I’m not sure exactly what the Mental Floss article is saying. I’m getting a possibly, maybe. It does make sense when they say that people with bipolar are more likely to pursue a creative endeavor, but are not necessarily creative. We can’t all be good. I guess I’m not surprised that there are other studies that invalidate the one above. I think that’s true of most studies. Thank you for sharing the link.